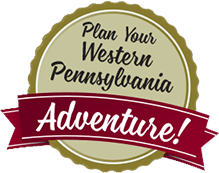 Warm temperatures and sunny skies offer the perfect time to enjoy an adventure on Hell’s Hollow Wildlife Adventure Trail in Mercer County, PA. The four-mile trek through hills and valleys offers fascinating historical, environmental, and wildlife sights. The trail is situated among 100 acres of scenic forest. 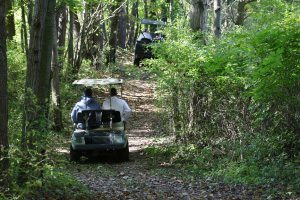 One different aspect of the tour is that you can choose to explore the trail on a trail buggy instead of walking or biking. Sights to enjoy along the trail include a cascading waterfall (Spirit Falls), beaver dams, deer, wild turkeys, eagles. Mercer County, PA – On Saturday, May 27, 2017, 500 American Flags will be raised throughout the borough of Mercer in preparation for the 15th Annual Mercer Memorial Day 500. 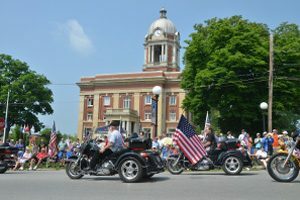 The Mercer Memorial Day 500, honoring American Veterans, will be celebrated on Monday, May 29, 2017, from 8:30 a. m. to 1 p.m.
At 8:30 a.m., the celebration will start with the Mercer Memorial Day 500 Freedom Fun Run 5K.Various activities around the Courthouse Square will include the opening ceremony and reception honoring the veterans, a military expo, a prayer service at the old Mercer Graveyard, the music of Brett Allen Morgan.